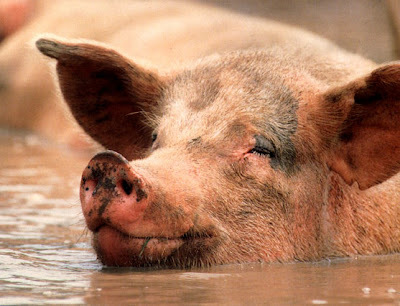 Happy as a pig in slop… of course!! WE GOT IT!! Our LOA arrived TODAY!! I am so happy, my stomach is doing somersaults!!! We are hoping to travel sometime in early June, but much will depend on when our TA arrives. But at this point, all I’m thinking about is OUR LOA IS HERE!!!! Thank you, God!!!! Well…I am just gonna ADD MORE exclamation points!!!!!!!!!! Congratulations from one GA family to another! How exciting!!! praise God, I am OVER THE MOON for you! Go get him! Wooohooo! Bring that sweet baby home! So didn’t you feel like you would travel in June? Happy Happy for you and your sweet boy! Wooohoooo!! Congratulations! You are one step closer to your precious baby boy! ALL I CAN SAY IS YIPPEEEEEE!!!!! Freaking out here. Freaking out! I happenned to stop by heartsful and saw someone mention to check out your blog… I had already been by to see the other post on something new, thought that might be what they were talking about, but thought I might check in again anyways…. Thank goodness I found out now. There is still time to celebrate with a little cake!!! I am so flippin excited for you I can’t even stand it!!!!! First new update pics of Raegan today and now this… This is a good day! Off to eat that celebration cake! Praising God with you in Bama, Stefanie! WOO HOO!!!!!!!!!!! Prov. 25:25 Love that cold water/good news from a ‘distant land’!!!!!!!!!!!!!!! I am SO ABSOLUTELY EXCITED for you, your family, and especially little sweetie Shepherd boy! HIP HIP HOORAY!!! I am so happy for you!!!!!!!!!!!!!!!!!!!!!!!!!!!!!!!!!!!!!!!!!!!!!!!!!!!!!!!!!!!!!!!!!!!!!!!!!!!!!!!!!!!!!!!!!!!!!!!!!!!!!!!!!!!!!!!!!!!!!!!!!!!!!!!!!!!!!!!!! YEAH YEAH YEAH!!!! SO HAPPY FOR YOU ALL!!! I love seeing all this come together. I came to check in and see if you got it and you did!!! Yipee!!! Congratulations! Have a great night. Congratulations, Stefanie & Chris! I’m so happy for you guys and for sweet Shepherd! This made my day even better! Somebody up there LOVES you. Isn’t it great? Thrilled for you!! Enjoy each day of anticipation as you prepare for the trip! Congratulations!!! I can’t wait to follow your journey while you’re in China!! OMG….what awesome news…..and here I thought you were going to be waiting another month!! We are so happy for you all!! Well Good for You and Good for US!!! We Recieved our LOA today also. I’m sure it was a busy day for DHL!! Stefanie, I am sooo happy for you!!! This is wonderful news – I can’t wait to see pics of you together! Start packing! It’s going to be hot there! Stephanie, mom to Maia, Jaida and newly home Jaxon from Dongguan also! How wonderful!!! Our God is so Perfect!!! Congrats and praying for soon and safe travel. Congratulations!!! Shepherd is one step closer to being in your arms! God is GOOD! Congratulations! You are almost there! Go get that sweet baby! We can’t wait to follow along! How wonderful! This is so great to read. Congratulations, I hope travel comes really soon. I can just hear you jumping for joy!! I am so excited for you!! It has been a long wait but so worth it as you well know. Stef, WOOOO HOOOOOOO!!! I was never more happy than to see this post on my Bloglines!!!! 🙂 I jumped right out of my chair and went “YEAH!” 🙂 You must be floating. Did you guys celebrate with a night at McD’s? Wink wink. 🙂 We might even step it up one when we get our LOA and do Arby’s!!! LOL. Love ya girl, and SO happy to hear about your news! I’m so happy to hear that you got your LOA!!! Come on TA!! It is news like this from blogging friends that helps me know I’ll make it through the wait because in the meanwhile, I’ll be able to see so many of you bring your children home! This is truly fantastic news! Hey girl!! We got ours too!! Maybe we’ll end up traveling together??!! God is good! So happy for you and can’t wait to follow your journey to your newest blessing from above! hooray! praising God in NM, too! getting so excited for you to travel soon! GOD is sooooooooooo GOOD!!!!!! Congrats a million times; does it feel like winning the lottery!! mama’s coming, Shepherd!!!!!!!! Wahooooo!! Now go get ‘im, Mama!! I can’t wait to see his sweet face in your arms. Stefanie, I’m so very happy and excited for you. I can’t believe your going to be bringing Shepherd home so very soon. Whoo hoooo Congrats!!! I am so very happy for you!!!! You are on your way. Congrats! So excited and thrilled for you. And God must get a chuckle out of sending you to China in the summer. 🙂 Just another humorous reminder that He does things on His timetable, not ours, eh? BTW, I’ve been praying that God gets Chris stationed in Florida next time. I’m ready to be neighbors! so awesome Stef!!!!! I love exclamation points too! I am so excited for you!!!! Hooray !!!!!!!! Congrats! I received my LOA on Thursday. You’ve been such an inspiration to me, maybe we’ll meet in China. Yipee!!!!! Girl, you know I love the exclamation points!!!!!!!!!!!!!!!!!! So so happy for you. It is here!!!!!!!!!!!!!!!!!!!!!!!!!!!!!!!!!!!!!!!!!!!!!!!!!!!!!!!!!!!!!!!!!!!!!!!!!!!!!!!!!!!!!!!!!!!!!!!!!!!!! YEAH!!! It’s finally here! You’ll be on your way soon to bring home that sweet baby home. I am out of the loop. I am behind. I am a mess. I can’t believe you keep up and I fall behind so bad when I only have one child and a few minor responsibilities in life. However, I am so, so,so happy to finally hear you have your LOA.